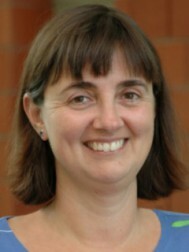 Laurie Elit is a Full Professor in the Department of Obstetrics and Gynecology, cross-appointed to the Departments of Oncology and Clinic Epidemiology and Biostatistics at McMaster University. She is a gynecologic oncologist at the Hamilton Health Sciences Centre and Juravinski Cancer Centre. She holds CIHR and NCIC grants as principal investigator involving clinical trials in ovarian cancer and preinvasive cervical disease. She has used qualitative methodology to address patient treatment decision making at the time of diagnosis of ovarian cancer and at the time of recurrent disease. Her health services research focuses on the delivery of ovarian cancer surgical care to women in Ontario. Dr Elit has worked both clinically and academically in various third world contexts (Bangladesh, Pakistan, Mongolia, Papua New Guinea, Haiti, Nepal).